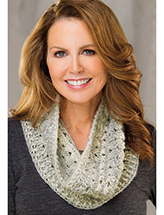 Blocks of coordinating colors stitched in soft alpaca make a dramatic statement whether worn in one long loop or doubled around your neck. 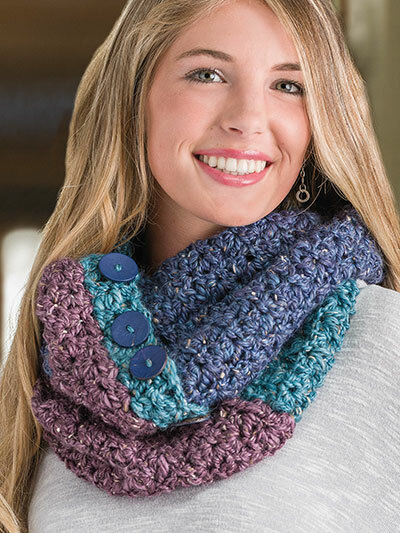 The buttons add the perfect finishing touch to this warm and cozy cowl. 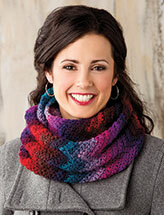 Size: 50" in circumference x 8 1/2" wide. 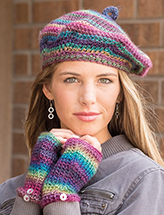 Made from chunky weight yarn and size L/11/8mm crochet hook.